What Are the Effects of Music on the Brain? In the past few decades, neuroscientists have discovered ways to monitor how different stimuli affect the brain. When the brain processes a new sense – through touch, sight or sound – neurons fire electrical impulses, sending microscopic messages to each other. With emerging technology, scientists can see the brainwaves that music creates and watch how the brain processes sound. Because of this, researches have begun studying how music impacts everyday life and the effects of music on the brain. 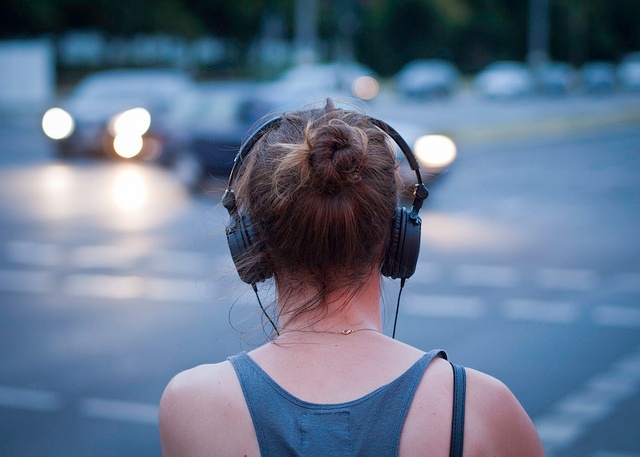 When a person listens to music or practices music, their brain is activated in unique ways. For listeners, music activates the brain by setting off “fireworks”; quickly decoding each element of a piece (melody, rhythm, etc.) and combining it again to hear the song unified. But studies have shown that for music players, the activity in the brain when playing or practicing is much more intricate – equivalent to a full body workout. While other activities, such as sports or even the arts, trigger individual parts of the brain – specifically the motor, visual and auditory cortexes—playing music simultaneously triggers all of those cortexes and more throughout the brain. Music students who practice with discipline slowly begin to strengthen different areas of the brain, which improves efficiency in music skills, academic studies and even social interactions. The fine motor skills required for playing music also enhances the brain by combining the left and right hemispheres and building up the bridge between the two. The left hemisphere of the brain constitutes things such as linguistic and mathematical precision, while the right hemisphere has to do with novel and creative or original content. In the Corpus Callosum – the small part of the brain linking the two hemispheres – the activity of playing an instrument allows messages to be sent across the brain faster and in more perplexing patterns. Because of this, it is possible that musicians have the ability to solve problems with more ease, creativity, and effectiveness in a variety of environments. As you can imagine, playing a complicated piece of music takes both cognitive and emotional insight. Not only does a conductor or musician need to pay attention to detail, but they must also have a feel for the emotional content or depth of a song. A popular theory among scientists is that musicians have enhanced memory function from the routine of multitasking to perform a piece, and they can create, store, and retrieve memories more efficiently than others. A study from The Journal of Neuroscience researchers discovered that the act of practicing music goes far beyond learning an instrument. At the offices of the Harmony Project in Los Angeles, kids from low-income communities have the opportunity to learn music from the instructors at this nonprofit organization, founded by Margaret Martin. Martin had a hunch about the way music affected the kids that went through the program. That’s when Nina Kraus, a neurobiologist with the Auditory Neuroscience Laboratory at Northwestern University, entered the picture. The patterns the two noticed were this: the children who had practiced learning an instrument for 2 years or more had shown significant improvements, some even going on to enroll in well-known colleges such as Dartmouth, Tulane, and NYU. For children that grow up in poverty, like most at the Harmony Project, something unique happens. Often, these children will hear less words by age 5 than the average child, and because of this their nervous systems create a substitute stimulation to fill in the absence of sound. This would sound like fuzzy background activity – a sort of mental static. This “neural noise,” as Kraus calls it, causes difficulties for the brain to process subtle differences in speech. When Kraus took a more detailed look at the brainwaves of the children that had been playing music for two or more years, she could see improvements in the area of capturing and processing the pitch, timing, and timbre of different sounds. 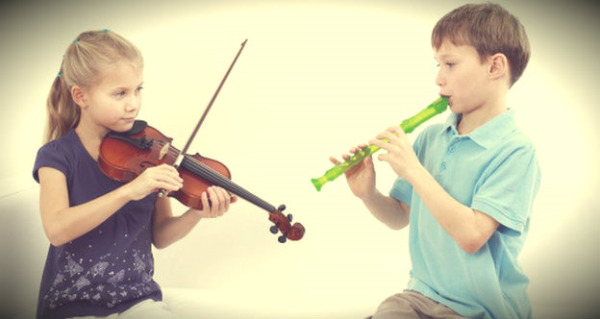 The argument is this: since the playing of music seemed to improve the brain’s precision in processing sound, it also seemed to improve the precision in other areas of the brain, allowing the kids to excel in more than just music – in school, work and everyday life! It may be a hard case to prove just how much music benefits the brain, but one thing we know for certain: it does make a difference, little or big. Have you noticed any benefits from playing music in your own life?